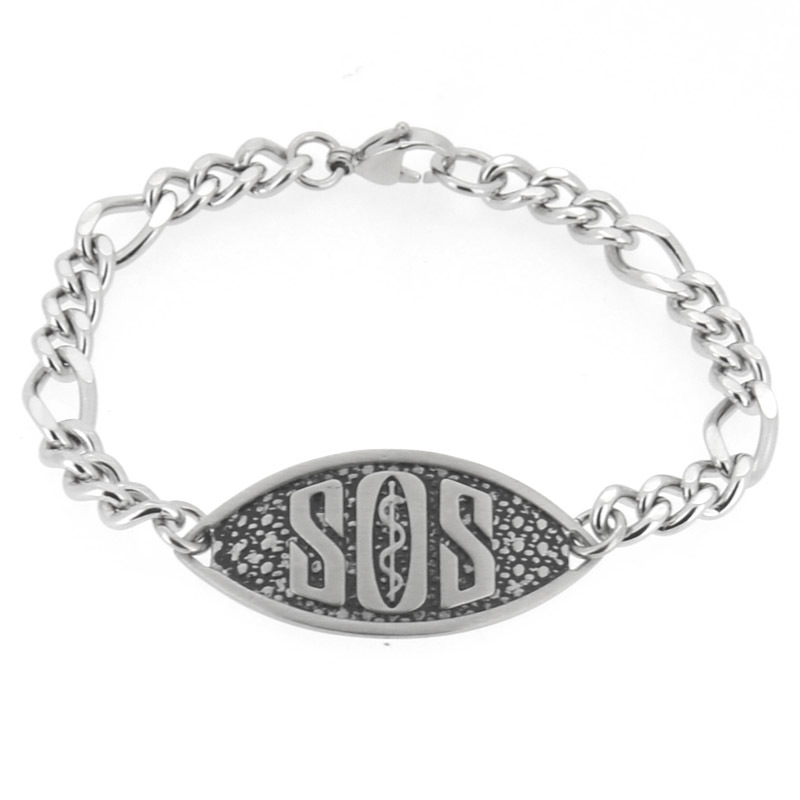 This medical alert SOS bracelet can be engraved with your medical information. 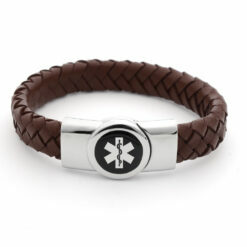 This medical alert SOS bracelet is made from high quality stainless steel. 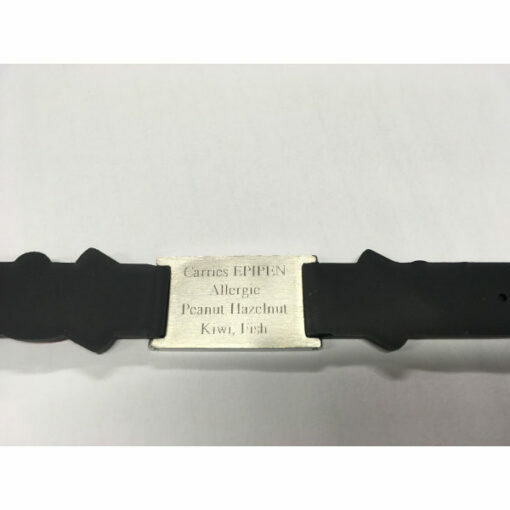 The bracelet is strong and durable. 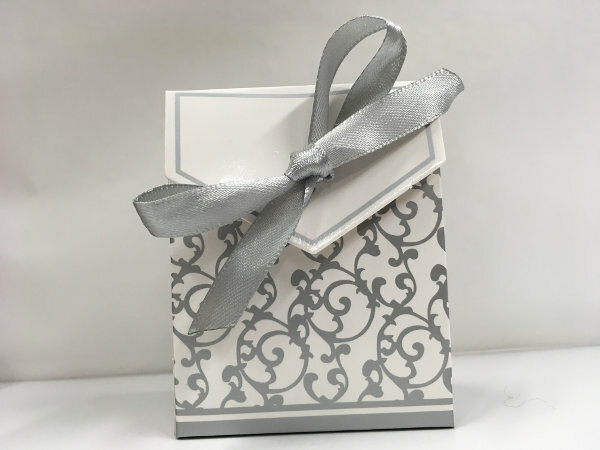 The Figaro chain is a classic and timeless design. 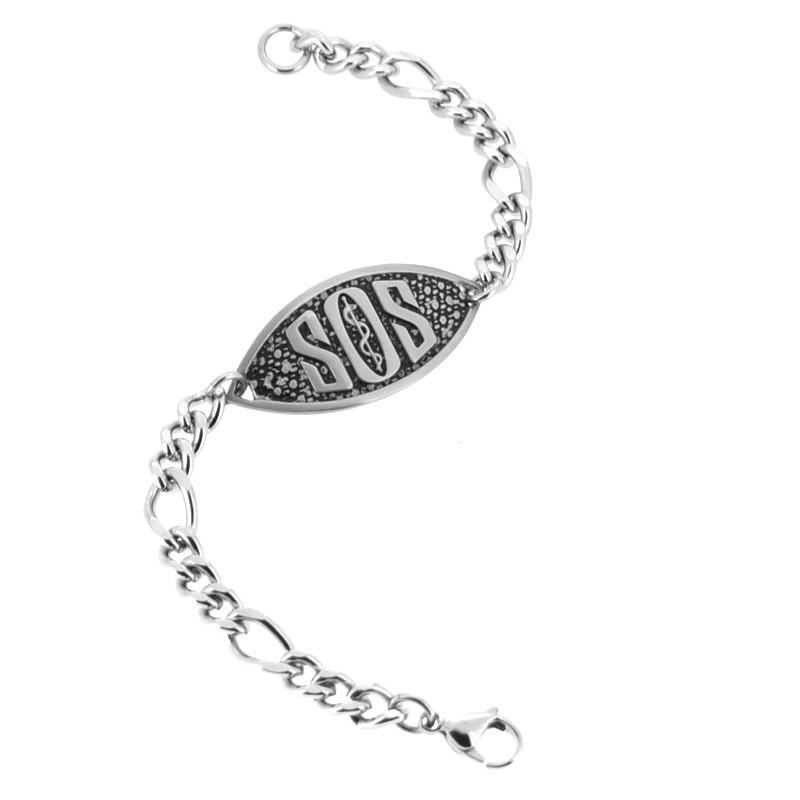 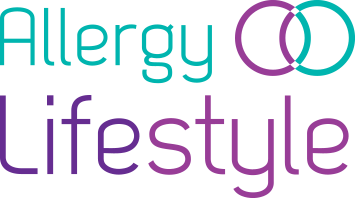 The letter SOS are printed in large character on the front of the tag, while the back of the tag can be engraved with your name, medical information/allergies or emergency contact information. We can engrave the back of the tags with 4 lines of text (25 characters). 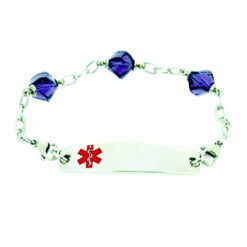 The ID bracelets are also provided with a free presentation box. 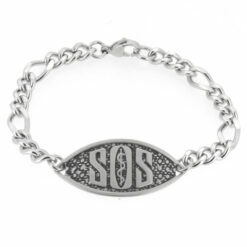 The bracelet measures 22 cm or 8.6 inches.